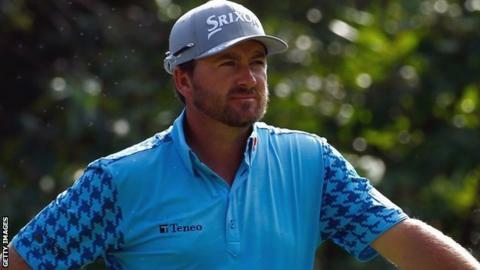 Northern Ireland's Graeme McDowell finished two shots behind leader Justin Leonard after the first round of the OHL Classic in Mayakoba, Mexico. Former US Open champion McDowell, 36, is tied ninth after a four-under 67. Leonard, 43, is in a four-way tie for the lead on six under with fellow Americans Derek Fathauer and Shawn Stefani and Australia's Aaron Baddeley. Russell Knox, who won in Shanghai last week, and fellow Scot Martin Laird are both five shots off the lead.